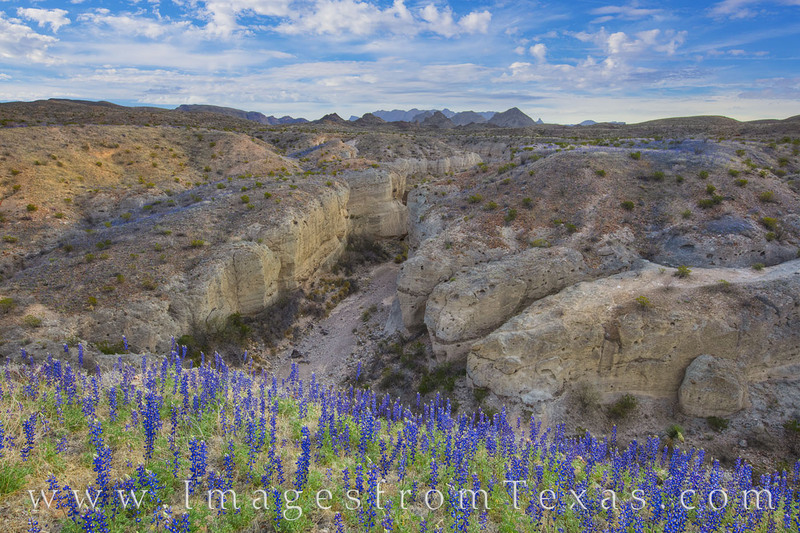 Clinging to the edge of a steep and deep cliff along the walls of Tuff Canyon, these bluebonnets add color to a remarkable landscape. As one of the more amazing sights of Big Bend National Park, Tuff Canyon is fun to explore with its rock formations and cliff-side views of the distant Chisos Mountains. And springtime bluebonnets add to the unique perspective of this deep canyon.